Tenses demonstrate the time of an action in a sentence usually performed by or centered around the subject of the sentence. The actions are called verbs. Verbs change according to tenses and other issues. As verbs are the most important elements of English sentences, tenses also carry paramount importance in English grammar. Tenses are mainly categorized into three types. Each of the types of tenses has four different forms. 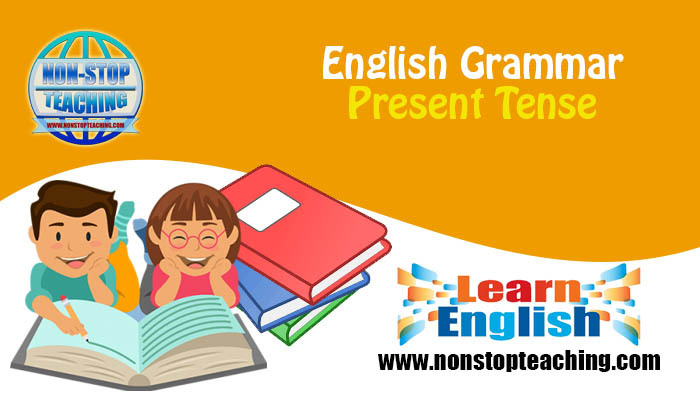 The present indefinite tense, also known as simple present tense, denotes a stative or habitual or eternally true action. Generally simple present tense is used to indicate an action which happens – always, regularly, every day, daily, normally, generally, usually, occasionally, sometimes, often, rarely, frequently, nowadays, naturally, seldom, constantly, never, every a week, every year, once a year, on a week, at times, at present, now and then, or all the time. Subject (third person singular number) + verb in simple present form + s/es + . . . . .
Subject (all other kinds) + verb in simple present form + . . . . . Note: When ‘be’ verbs work as the main verb in a sentence, they are different from the above structures. First I am a good cricket player. We are good cricket players. Second You are an irresponsible person. You all are always irresponsible. Third The earth is smaller than Jupiter. Junk foods are not good for health. There are some stative verbs which are usually used in simple tenses whether present or past or future. They love swinging in the park. Some people do not believe in God. I usually wake up at 6.00 AM. He plays cricket, but his brother plays football. Earth is bigger than Mercury. The present progressive is used to indicate the ongoing time (now). However, the stative verbs do not usually take the form of present progressive even though they refer to the present time. Now, continually, perpetually, at this moment, at the moment, right now, This season, this year, forever, etc. are usually the signs of a verb to take present progressive tense. However, these signs are not necessary all the time for a verb to present progressive tense. Subject + am/is/are + verb + ing + . . . . . . . . . I am going to the college field. He is coming here for some tips. They are making a basketball ground. Why are you working in that horrible place? Four teams are playing at this moment. This structure is also used to demonstrate future time. Alex is leaving for Portugal tomorrow. I am going to complete my task tomorrow. Our bus is leaving at 6.00 PM. They are flying to Australia next month. or an action that began in the past and still going on in the present. Subject + have/has + verb in the past participle form + . . . . . . .
Just, already, yet, just now, ever, lately, recently, etc. are some of the signs for present perfect tense. Note: Already comes between have/has and the past participle; yet appears with a negative form at the end of the sentence. Alex has already reached there. Alex has not reached yet. I have already cleaned the house. I have not cleaned the house yet. It is the least used form of present tense. Present perfect progressive is used to indicate an action that began in the past and is still occurring in the present. Both present perfect and present perfect continuous can be used to indicate this type of action. Subject + have/has + been + [verb + ing] + . . . . . .
Alex has been reading for 3 years. Robert has been working in that shop for 6 years. We have been living together for four years.